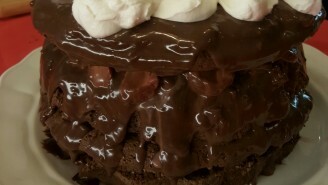 NOTE: This cake is a 4-layer chocolate delight, filled with strawberries and sweet cream. 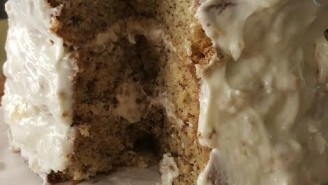 The batter makes 3 thick layers, so there will be an extra layer for you to frost and serve, or save for a later time. NOTE: This creamy banana creme cheese frosting will feel like satin in your mouth. 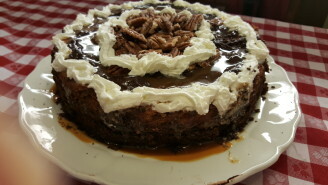 It is perfect for the beautiful Banana Supreme Cake with Candied Walnuts. NOTE: This beautiful cake is a 3-layer beauty made for a Mother’s Day table. 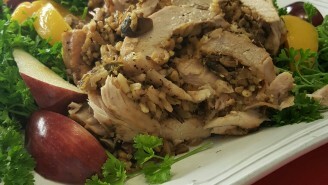 It is delicious filled with chopped bananas, nuts, and coconut. 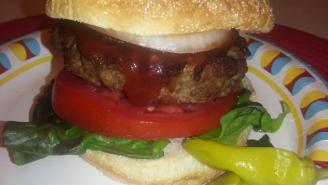 You will treasure this recipe.! 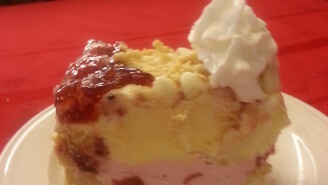 NOTE: This cheesecake is not only beautiful, delicious, and decadent, it is down right mouth-watering good! 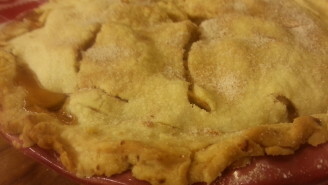 NOTE: This pie crust is so good, you could almost eat it alone. Use if for pies, cobblers, tarts, quiches, and especially in chicken pot pie recipes. Delicious, buttery, and flaky. NOTE: Use a deep dish pie pan for this mile-high pie. Straight from the country table, this timeless dessert is one of America’s favorites. This pie could not be more delicious, bathed in cinnamon buttery syrup, and a flaky homemade crust. NOTE: Everyone loves grilled tender sirloin, especially served on a skewer with marinated grilled vegetables. 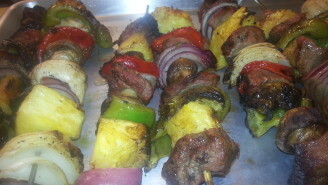 These Kabobs couldn’t be more delicious! NOTE: This luscious cake is the perfect picnic closer. Keep it frozen right up until serving time and count the smiles.